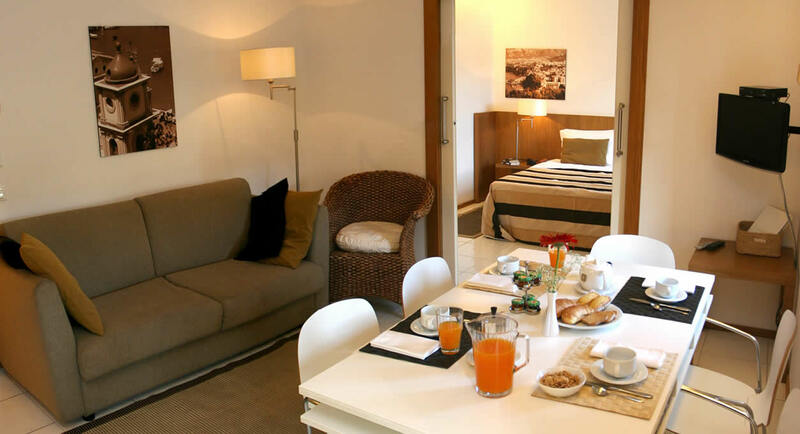 Before we describe the inside of our suites, we'd like you to pause for a moment to look at the pictures, at the panoramic wide glass walls, their brightness , their finishing details, the quality of the customised furniture, the livability of the space ... and here for you are our Stuites. 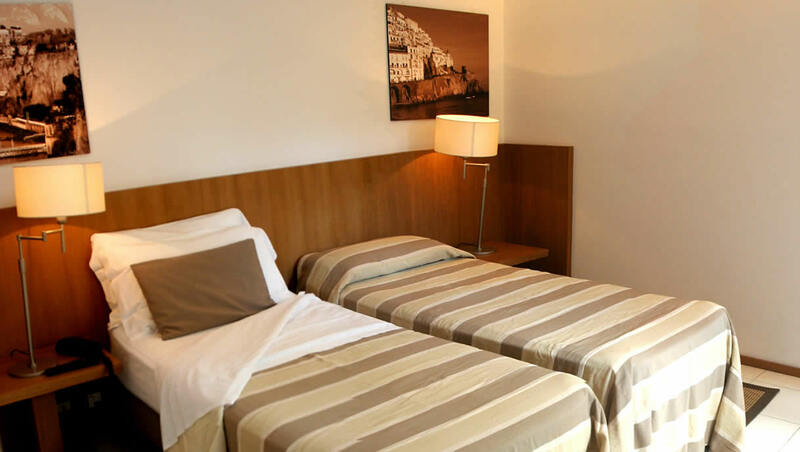 The Rota Suite-Residence has got at its disposal two-room and three-room apartments , with dimensions that vary from 45 to 60 square metres, composed of one or two bedrooms and a sofa bed in the living room. 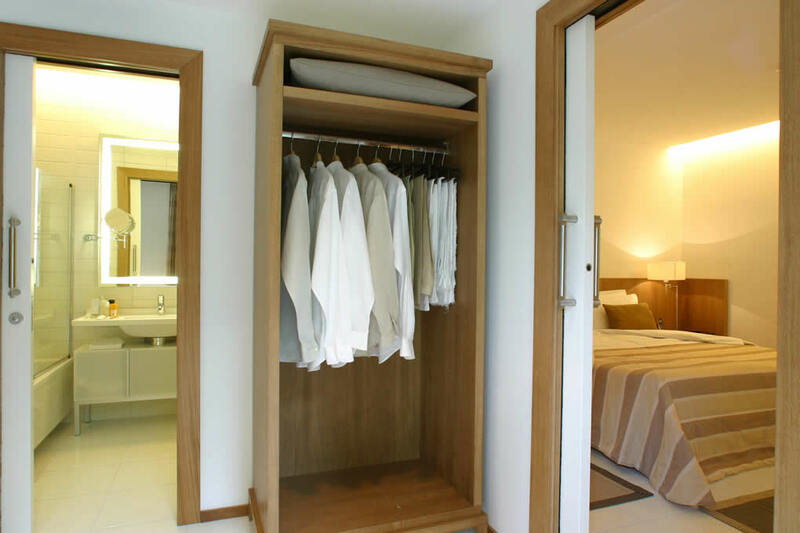 The day space, gracefully separated from the night space by comfortable sliding doors, and furnished with a cushy rollaway kitchen area carefully fitted with accessories, fridge, oven and a large table with chairs. 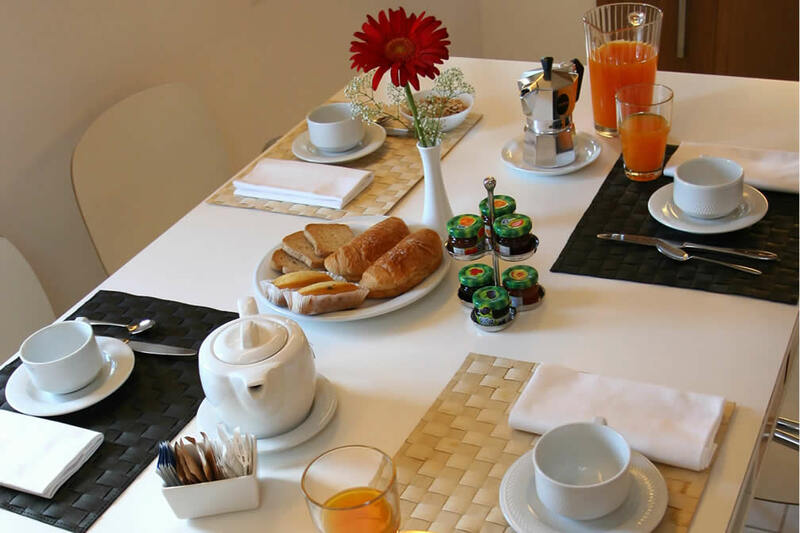 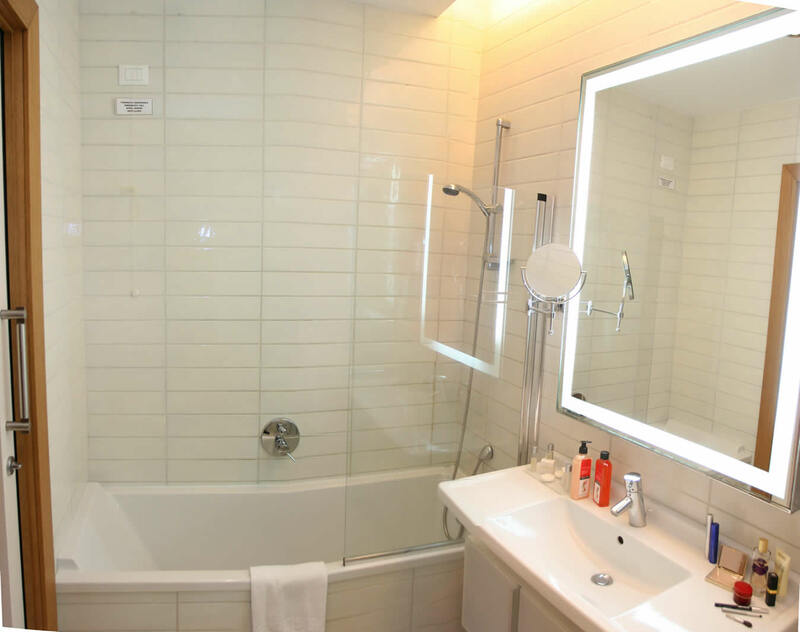 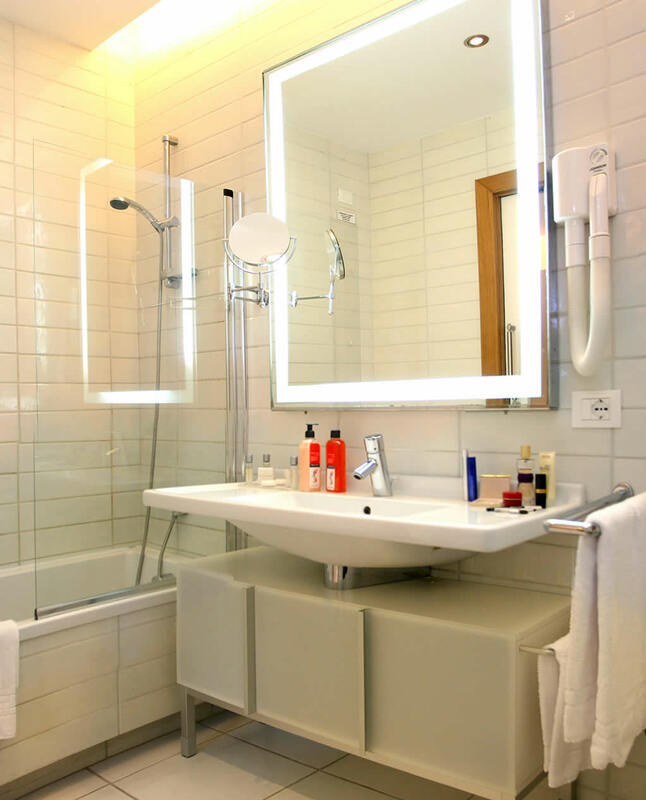 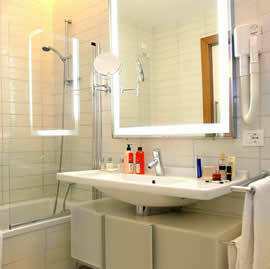 The carefully refined bathrooms are furnished with bath tub and shower stall and hair drier. 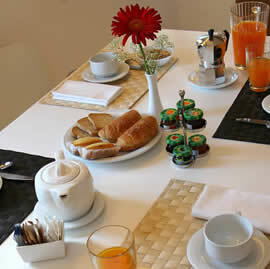 Moreover our suites can boast large terraces furnished with small tables and chairs where you can relax in the open air. 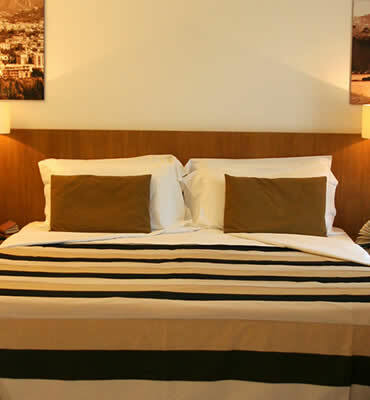 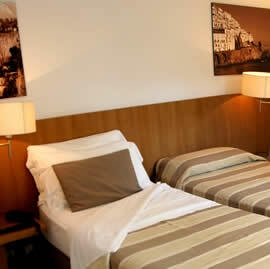 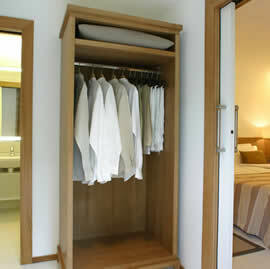 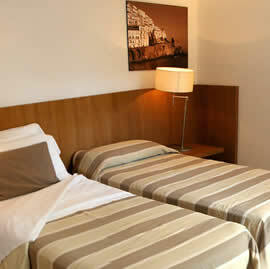 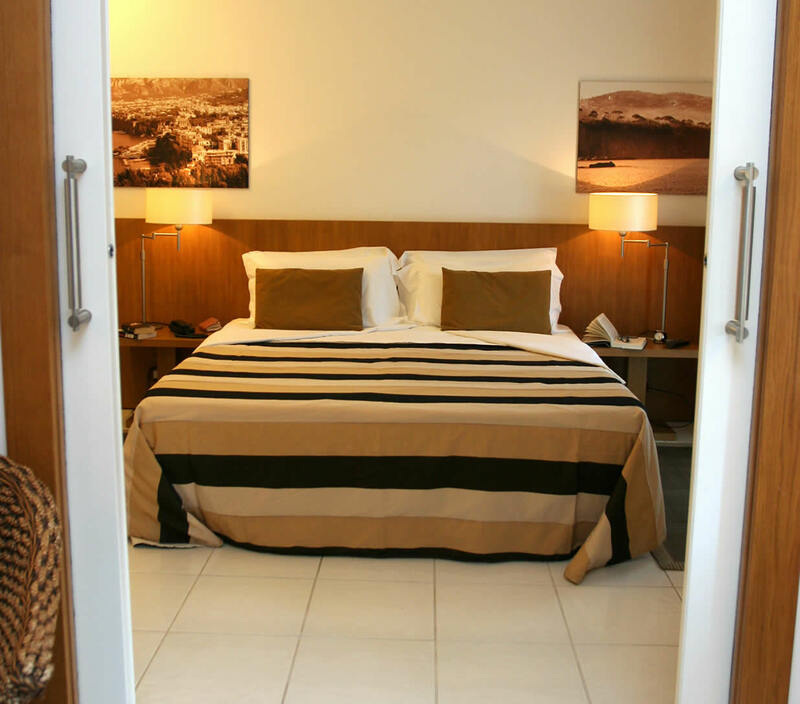 Moreover all the suites are furnished with air conditioning, wi fi access and a large television.